Show Hand, Fancy Wall, QingChunRe, Pinky Cherry! Swing by School Bar on this fine spring Wednesday for a midweek punk themed throw-down! 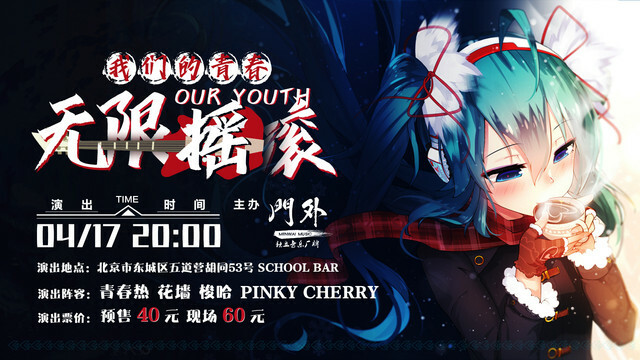 On the bill are punk trio with Chinese characteristics Show Hand, pop rockers Fancy Wall, young punk dudes QingChunRe, and last but not least, female rockers Pinky Cheery!